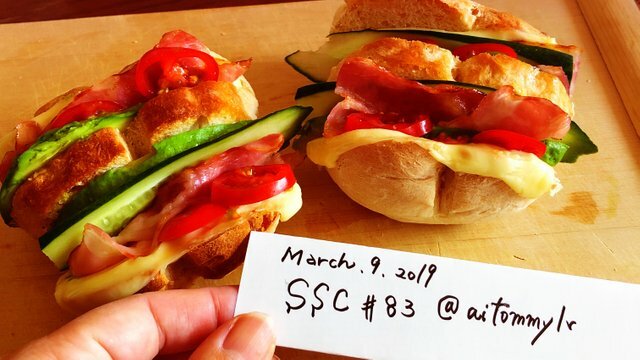 Steemit Sandwich Contest WEEK 83 WINNERS! Submit any Kind of Sandwich Whether It's a Classic or Original Creation! Week 83 was a "Royal Rumble. Anything Goes!" What is Steemit Sandiwch Contest (SSC)? A very special thanks to our week 83 contestants! Your level of enthusiasm, creativity and hilarity were beyond expectation as per usual! There were a few Contestants worthy of recognition! In fact, I really cannot convey just how difficult it continues to be to choose winners every week!! There are always multiple entries pitted against each other for every winners spot including the SSC Outstanding Achievement Awards and it's continually a painful process picking 1 over the other(s). Well....I mean, the effort alone on this entry coupled with his stress of finding an ingredient not used before paved the way for his win. Tied together nicely and with a clear artisan food-work-style, this flowery gem of a falafel sandwich was indeed epic! Beef, carrots peppermint...all great supporting flavours! "My Vote goes to @aitommylr This sandwich looks awesome and I will make one for myself"
Love this apple pie style sandwich. Stepping it up a notch with the cheese add and loads of butter grilling it to perfection. Love how Lizelle, having probably used almost every ingredient South Africa and beyond has to offer her, still came up swinging this week! No Consistent Featured Entries or "Outstanding Achievement Awards" for a while...Giving all the prize $ to the top 3 until the pool gets bigger. @birdsinparadise - Great idea using the curry paste coupled with the Almond Flour Arrowroot Powder Fresh Basil Fish Sauce Coconut Oil support! This looks like an amazing womanwich! @jaybird: I select the winners based on a variety of parameters. Just do your thing and have fun with it. I'm considering many factors such as presentation, ingredients & originality, creativity, community opinion & artistic ability just to name a few. PLEASE make sure to follow the rules! They are easy to follow and help prevent the tragedy of Null entries! Second Prize dubbed the "Veto Vote" = roughly 30% of the prize pool + the honour of selecting the following weeks second prize winner. This prize is ideally given to an entry that although it did not win the contest, showed distinction among all the other entries. This could be a feature such as it was the community favourite, it used the most bizarre ingredients, or, it was just the best looking sandwich etc. IMPORTANT! The "Veto Vote" holder may not vote on his or her own sandwich to be selected as the second prize. However, they are still eligible to win First Prize should they enter the contest that week. Week 84's Veto Vote holder is: @aitommylr and was selected by @nervi who was week 83’s Veto Vote holder. Thank you both for your participation! IMPORTANT! "Veto Vote" holders must always present their final selection to @jaybird in confidence and allow the news to be revealed in an officially "Who Won Steemit Sandwich Contest" blog post. Deviation from this method will result in a forfeit of the Veto Vote and thus, the selection will be consider null and a new winner will be chosen by @jaybird. Veto Voters can contact @jaybird through or Steemit.chat username: jaybird or discord jaybird#4732 . If for whatever reasons, the Veto Vote winner does not select an entry in the following weeks contest, I will be the default second prize selector for that week. @jaybird reserves the right to alter the contest rules and structure as necessary. Second Prize! I'm really surprised! It was good to devise and work on sandwich making! Thank you @jaybird, and @nervi. I am happy. Congratulations to @mondoshawan, @lizelle and @birdsinparadise, your sandwiches were Great! Yo Bro... Thank You! This is an honour. Congratulations to @aitommylr, @lizelle and @birdsinparadise... Thanks a lot to @llfarms for sponsoring. And now go everybody for the next challenge in week 84 in this most excellent contest! Congrats @mondoshawan, @aitommylr and @lizelle! Amazing creations this week! @lizelle, I'm going to have to try an apple on my grilled cheese in the near future! So happy you enjoyed my womanwich @jaybird, appreciated your kind appreciation! 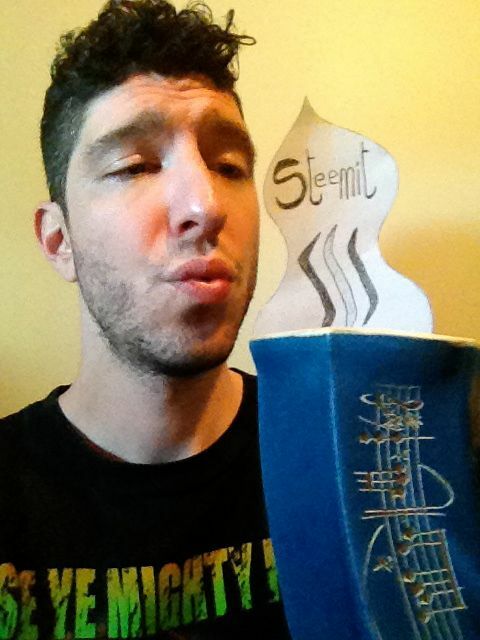 Keep Steemin everyone!